In this series on managing multiple bloggers in WordPress, I want to now focus on the content, specifically managing the editorial voice and purpose of a site with multiple bloggers. There is a huge caveat to this topic. Every blog is unique, as are all the voices within it. It is often that uniqueness that brings a multiple author blog to the attention of their community. In no way is anything I’m about to say to detract from that uniqueness. These are not rules or regulations, merely standards and guidelines based upon decades of experience. If they aren’t inline with your editorial policies, great. If your editorial policies are going offline, maybe these will help. Either way, it’s your blog, your way. Never forget that. Managing multiple authors is not like offering some guest blogging spots on your blog. I’ve written plenty on the art of guest blogging and it’s very different from managing a consistent team of contributors. Managing guest bloggers is herding cats. Managing a contributors team is managing employees, people who work for you as well as with you. 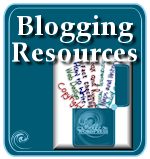 Guest bloggers represent themselves on your blog. Contributors represent your blog on your blog, as well as off. 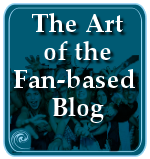 In Implementing a Collaborative Blog – 7 Ways to Deliver Better Stories, Mike Brown of BrainZooming writes about his experiences with multiple author blogs and he describes the differences between a typical multiple author blog and a professional multiple author blog. A vague sense of who the blog’s target audience is and what’s of interest to them. 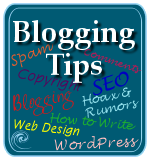 Only rough blogging guidelines governing the authors’ efforts. A mix-and-match approach to writing styles among the authors actively contributing. No editorial plan – so subject matter coordination happens by accident, if at all. Challenges in coordinating content submissions for timely publishing. Potentially uneven editing, with it being done individually, by an ad hoc editor, or not at all. A blogging platform intended for individual efforts being forced to fit with a multiple contributor environment, often with publishing responsibility heaped on one person. A well-developed persona (or potentially multiple ones) to guide audience-based content creation. A team inside the organization is trained in blogging and contributes to the collaborative blogging effort’s strategic direction. Individual writing styles are arranged and balanced for a better reader experience. Subject matter coordinated to deliver a more strategic mix of content. A planned calendar with posts in reserve to ensure a consistent publishing schedule. A designated blog admin and review process ensure the content is strong, compelling, and well-written. A collaborative blogging application which facilitates reminders, content management, and multiple contributors actively participating. He’s exactly right. Let’s look at these features and add some details that will help make the multiple blogger experience even better. A good editor and multiple blogger manager understand that they need to get it all in writing, all the agreements, decisions, and compromises. A writer’s agreement is critical to protect both parties. Whose Who: Author and Editor/Manager names and contact information. Contribution expectations: frequency, dates, word counts, author’s ideas or assignments given, etc. Submission Method: Direct, email, Google Docs, requires preview or review, etc. Compensation: How and when they are compensated. Syndication/Distribution: How, when, and who is responsible, and is compensation for syndication expected. Social Media: Expectations on promoting and sharing published work through social media. Copyright: Who owns what, how long, and what steps will be taken by which part to protect these rights. Disclosure: If disclosure is needed, when and how. Self-promotion: How the author will promote themselves and their work on the blog, and how they will promote their contributions off the blog. End of Contract: If the agreement ends, how can it end, what are the closing terms, and what will happen to the previously published content. There is lot of general information that needs to be spelled out in the agreement or writer’s guidelines. They cover a wide variety of expectations and requirments. I’ve run into requirements about commenting on other contributors blog posts to encourage others to engage the author, the company/blog to be represented first and above the author’s personal or professional site, restraints on public opinion that might be in opposition to the company’s position, and other restrictions. Other multiple blog site owners encourage public opinion, opposition, and do whatever they can to help their contributors stand out. Whatever the rules of the game, make sure both parties know them clearly – and get them in writing. Never assume. Call them writer’s guidelines, editorial policies, contributors rules, whatever you want, you need them to set the standard for how you wish the content on your site to look and feel. Regular contributors to your blog represent themselves and their unique voices, but they mostly represent you and your blog. 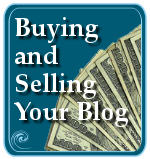 It’s your blog business. They are your representatives, if employee is too harsh a technical word. What they write and contribute on your blog speaks loudly for you. If they screw up, you get the blame, if they get it wrong, you have to right it, if they get praise, you get to share it. Consider yourselves joined at the hip for the duration of your collaboration. Guiding new contributors into the fold means letting them know what’s right and not right to do on your blog. A clear set of guidelines is critical so each side knows what to expect of the other. It explains the how to do, who and where to go to when help is needed, and sets boundaries for what is acceptable – and what’s not. Review: If and how a submission and review process is handled before publication. Demographics/Audience: Define the audience with as much information as possible to help the writers know whom they are writing to and for. Titles: All letters capped, sentence structure, word count limits, specific titling styles. Bylines: Use of full name, real name, or nickname permitted. Spelling: Not just guides for proofing but specific spelling preferences such as respect for trademark spellings, language type (English, American, Australian, etc. ), and other writing styles that influence spelling. Fonts: Use of bold, italic, colored fonts or font changes within the article. 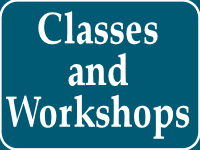 Linking: How to link, from when and specific formatting styles (minimum/maximum words to link, external verses internal linking styles, link classes, etc. ), and to what not to link. Article Series: Steps and process for producing articles in a series. Publishing Code: How to publish code in blog posts. Tags and Categories: Many blogs are now using tags and categories differently from the default usage. Explain clearly how to categorize content. Accessibility Standards: With the requirement in 2011 for public websites to meet web standards for accessibility coming up, spell out your site’s accessibility standards and practices. Profanity: If and when profanity is permitted, what words are acceptable and which aren’t. Fact Checking: Some sites require extensive fact checking and proof where others are less about facts and more about entertainment. Be specific on what your guidelines are on fact checking and verification. Photography/Images: How to include graphics and photography, citation, credits, size, file formats, etc. Blockquotes: How to blockquote and cite quotes, references, and resources. Also include how and when to get permission for usage. Comments: What is the comment policy, requirements for commenting, how to comment specifics. Copyrights: Clear definition of what is acceptable for copyright, including what is reprinted in the article as well as what is permitted to be reused offsite. Every blog uses different tools, Plugins, and techniques for publishing its content. For instance, if using Viper’s Video Quicktags WordPress Plugin, add instructions on how to use the Plugin to publish videos within the blog posts. If using the Feed Pauser WordPress Plugin, let authors know they have five minutes or whatever the limit is to fix any errors before the post goes wild through the feeds. Be clear about any quirks or special details you wish your authors to do before hitting publish. The blog style is a harder one to define. Every blog has a style. When I mention Problogger, Gawker, TechCrunch, Copyblogger, Read/Write/Web, Liz Strauss, or Chris Brogan, a clear vision may pop into your mind of their site, the look, the writing, the topics, and the voice that represents these sites. You know them. You recognize them. They have a style. A unique voice of their own, even if mingled with others. In your writer’s guidelines, think about what voice your blog offers to its industry. It is the authority, the expert, the journalist, the investigator? Or is it the voice of commentary, observation, or analysis? Are the words and phrases simple and easy to read or designed for doctoral thesis? While you can mix and match some of these, let your contributors know which are the words that most describe the blog’s voice so they know how to slant their topics accordingly. One of the best tools for managing multiple authors is the editorial calendar. A calendar everyone can follow helps guide content and control scheduling. There are two types of editorial calendars in my mind when working with multiple authors. There is the macro and the micro view. The macro view is a larger scale view of the goals of the site over the long term. I will often book out a year or two for specific topics such as a month dedicated to security issues or a week celebrating the birthday of WordPress, or a week or more before or during a specific industry event, promoting conferences and activities around it. Authors working with such a long-term view can plan their content accordingly. 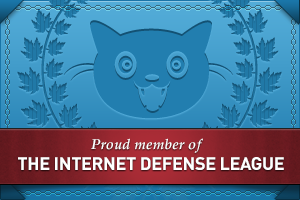 Knowing May is security month, they can start researching and writing content in January or keep their eye on news in preparation for the month of articles. Those who give their author’s assignments can do so over the long-term as well as the short, looking at the entire schedule as a huge puzzle. In the micro view, I look at the hour by hour or day by day schedule within the week or month. Where are the holes? What isn’t being covered? I can nudge a writer in a specific direction if necessary to fill in the gap. I can also move things around so we don’t have five podcasts released on a single day and none for the rest of the week. Or four articles on the same topic about Facebook changing their privacy rules again spread out over the week when I want them all on a single day to showcase the different opinions and perspectives on the topic. This micro control helps deliver the content in a timely fashion. The Edit Flow WordPress Plugin has a beautiful editorial calendar built in, linking assignments, content ready for review, upcoming scheduled posts, and already published posts all in one place. Editors and easily move things around and make scheduling adjustments instantly. The Editorial Calendar WordPress Plugin is another powerful Plugin that helps you manage your editorial content schedule. It’s a stand alone calendar that helps you see your scheduled posts and drafts, but it doesn’t help you schedule proposed articles (pitches) or the fine-tuning your multiple author site may have. Don’t let your authors be an island. I can’t emphasize this enough. Writing for yourself is a solitary job, but writing for a multiple author site should be a team effort. More often than not it’s a lonely job. Nothing is more confusing than preaching transparency while working behind closed doors. Few of the magazines, ezines, and multiple contributor blogs I’ve worked for had collaborative team meetings – or even collaboration at all. I felt like I worked in a bubble with a one way communication line. Information went out but rarely came back in. It’s important your writers are informed on what is going on with the company, with editorial wants and needs, and with other authors. My current teams keep the lines of communication alive through several different methods. Primarily, we use Live Chat through an IRC chat, Google Chat or Skype, backed up by a P2 WordPresss Theme private blog. Consider going a step further and allow your team to connect no matter what service you are using with tools like Pidgin (PC), Adium (Mac), Digsby, and similar services. Dropbox, YouSendIt, and similar services are invaluable for sharing files within the team. Dropbox has a free service for sharing files in a virtual folder on the team’s computers wherever they are. There is even a Dropbox Upload Form WordPress Plugin to make the task even easier. YouSendIt and other file sending services help transmit files larger than most email boxes can handle. There are tons of team management and collaboration tools I could list that helps groups work together on projects including BaseCamp, Google Docs and Google Apps, and Huddle, but keeping with the WordPress Theme, I recommend using the P2 WordPress Theme or one of its spin-offs, GTD P2 Theme by Templatic. P2 allows instant interaction through the front page of the WordPress blog in a Twitter style, allowing authors to track what is going on, ask questions, or provide answers to the various posts. You can also add some WordPress Plugins to make the P2 Theme even more collaborative. CollabPress adds project management and task tracking. WP-Project is called a “complete” project management solution for tracking clients, specific projects and tasks, and adds optional task time tracking (note, it’s out of date but usable with a few fixes). WP-Task-Manager adds a task management option to allow contributors to assign tasks to each other, discuss the various tasks, and track the tasks as they are created and completed. Other project management Plugins to test on your P2 or other team WordPress Theme are Ndizi Project Management, Propel, Gamatam Tasks, or WP-Trac. Matt Mullenweg of WordPress and Automattic explains it best, claiming that the P2 Theme changed how the entire company and its teams work together collaborative around the world. 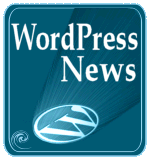 Bitwire Media, which produces WordCast Podcast and WordCast Conversations, uses a P2 Themed blog on WordPress.com with the privacy settings turned on so only those with user access can view the team blog. You can also use the Members Only WordPress Plugin to keep the site private. You can learn more about this powerful WordPress Theme at P2 Theme. You can also set up a site with BuddyPress for your author team and use BP GTM System WordPress Plugin to turn your BuddyPress-enabled site into a project management system. The Edit Flow WordPress Plugin features a ton of built-in communication features which help the editors stay in touch with writers on the posts themselves, through email, or through discussion areas. Add BuddyPress and you have a full fledged publishing system. Go further in your mentoring and collaboration by providing training sessions, sponsor authors to conferences and educational programs to help them not just improve their blogging skills but to increase their networking skills. Help them connect with the right people to boost their contributions and confidence. Set the example yourself. If you are a key contributor to your own site, set an example for your writers to follow. Some editors and site managers think they are above the rules, using the site to rant and rage over things that may or may not be on topic. They wouldn’t let their contributors do so, but they feel privileged. It’s your site, do what you want, but practice being a mentor by example to your fellow authors. Good communication can make or break your multiple contributor site. This entry was written by Lorelle VanFossen and posted on August 18, 2011 at 4:31 pm and filed under blogging tips, WordPress, WordPress News, WordPress Plugins, WordPress Tips, Writing with tags blog contributors, blog management, blog writing, bloggers, blogging tips, contributors, editor, guest bloggers, managing a blog, managing multiple authors, managing multiple bloggers, multiple bloggers, multiple bloggers blog, multiple contributors, multiple contributors blog, Web Design, Webvisions, webvisions2011, wordpress, wordpress advice, wordpress development, wordpress help, WordPress News, WordPress Plugins, WordPress research, WordPress site development, WordPress Theme designs, WordPress Themes, Writing, wv11, wv2011. Bookmark the permalink. Follow any comments here with the RSS feed for this post. Post a comment or leave a trackback: Trackback URL. Good Post, Lorelle. I have a multi-author post but I don’t really need to collaborate that much because it’s based on users’ own interest. Anyone can register and start typing (much like wordpress.com with some differences). Still some of these information will definitely be handy for me. 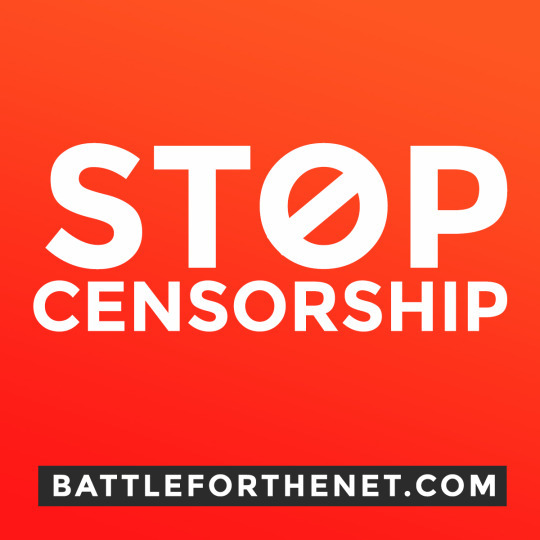 This means that contributor guidelines and a strong comments policy is essential, as well as a good terms of service to protect yourself from libel, defamation, and other nasties. When you have an open door policy, your protection policies must be stronger than normal. We can’t seem to get email notifications to function, despite the fact that they’re checked as enabled on the dashboard. There’s a thread here of the discussion. I’m wondering if you’ve run into this issue and have possible workaround. I haven’t had any problems with this, but do contact the Plugin author as he is very helpful. Thanks, I’m checking with hosting as the plugin works fine on another server. I love it! Thanks for clarifying the difference between Guest blogging spots, as opposed to, hiring multiple bloggers. Many fail to understand and make a mess on their blogs. I have heard of other people having the same issue with their. Blog now I kind of have a idea of what the problem could have been. This blog post was very informative. It’s always great to get helpful information about blogging.